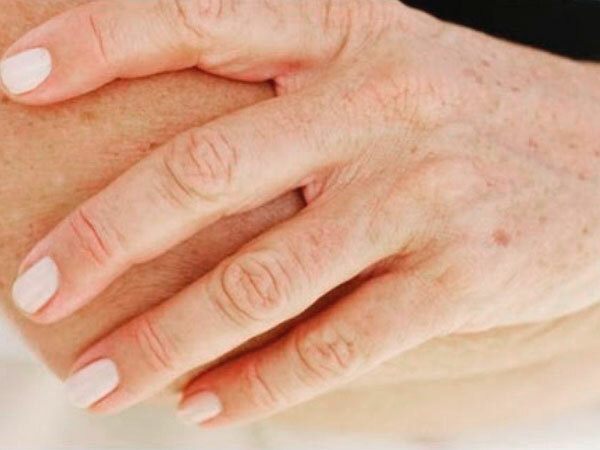 Age spots on the hands and face usually occur in adulthood, after fifty years of age. These unwanted hyperpigmentation, sometimes occur even in younger people, especially if they are more exposed to the sun. To a large extent for their development contribute hormonal changes, but also heritage. Brown spots on the skin are aesthetic and do not look nice, but fortunately they are not harmful and in any way dangerous. There is no need to worry about them but again many people are bothered by them and want to remove them. The official and alternative medicine offer us solutions in the form of numerous procedures and preparations, but the results will not come overnight. For age spots and stains you will need a lot of time and patience, in order to eliminate the problem entirely. Addition of expensive creams and treatments there are many natural recipes that you can make at your home. Stay with us and find out how to make and use them. Hyperpigmentation usually occurs on the face, shoulders, upper hands and forearms. Manifested by the dark brown, light brown, gray or black spots and freckles. They occur as a result of the disorder production of melanin, the pigment responsible for the color of human skin. They are called age spots, since in most cases they occur after fifty years of age. But they can also arise at a young age, mainly due to frequent exposure to the sun or darkening tan in a solarium. Something they are more prone to people with darker skin color. Risk factors include genetic predisposition, and hormonal imbalance, inflammation and injury. What actually happens in the skin? Melanin is the pigment that protects the skin from the harmful effects of the sun's rays, and is produced by melanocytes. These cells are located in the deepest layer of the epidermis, whose activity increases in the event of excessive exposure to UV rays. As a result, hyperpigmentation occurs on the parts of the body that are most exposed to the sun. Aging skin reduces the number of melanocytes, but those who remain are becoming more mobile and rapidly distributed to the most vulnerable places. When should we see a dermatologist because of hyperpigmentation? Age spots on the hands and face by themselves are not dangerous nor painful and do not cause any health problems. But if they start to change its shape, color, or bleeding - there is a possibility that it is a serious disease. Then necessarily you need to contact a dermatologist. Such skin changes are advisable to regularly be inspected and, if necessary, biopsy is necessary. Although for age spots treatment is almost never recommended, nor is it necessary, many people want them removed. Primarily due to aesthetic reasons, which is why there are a number of treatments that remove hyperpigmentation. Official medicine offers us numerous methods and preparations, or therapies that do not always provide quick results. When it comes to purchasing creams for age spots and blemishes be careful when to use them. Prior consultation with a dermatologist about the proper usage is necessary. In addition they preparations cost a lot, they can interfere with the operation of the entire immune system. Often they contain harmful hydroquinone, which is known to contain cancer genic substances. This method involves targeting affected areas with powerful light beams. The laser then penetrates the epidermis and destroys the melanocytes, the cells that produce the pigment melanin. In this way, the powerful rays will delete color, and therefore age spots disappear because they are no longer visible. This treatment is not painful, but it is a bit annoying and sometimes causes redness and swelling of the skin. On the other hand, it is very effective, but it has a pretty big flaw since it is quite expensive. It consists of removing the dead cells of the epidermis, and therefore age spots and blemishes. The method is performed by using glycolic acid (AHA), which burns skin in critical regions. Then there are blisters that dry and peel, but underneath there's a new skin without hyperpigmentation. Non-invasive treatment that uses crystals, zinc and other abrasive materials removes the top layer of skin. Microdermabrasion will remove brown spots and age spots on the face without any pain. It is recommended by a large number of dermatologists. Involves the removal of age spots on the principle of freezing it with liquid nitrogen, then they are peeled with the scalpel. This is a quite effective method and well sought after. In addition to expensive creams and treatments, there are a number of natural methods to remove age spots from hands and face. Certainly it's worth a try, because it costs nothing, and most of the ingredients you already have at home. Lactic acid skin is a whitening agent in the same manner as citric acid. Twice a day, apply milk directly on age spots, let it stand for about 15 to 30 minutes, then rinse thoroughly. If your skin is extremely oily, mix milk with a few drops of lemon juice. Also, for an additional effect, add a little tomato juice and yogurt, which are also good bleaches. This is a remedy for many health problems, and effectively removes the unaesthetic dark stains from the skin especially those from the sun. On the critical region, apply a little apple cider vinegar, let it stand for half an hour, and after that rinse. If the treatment is carried out once a day, progress will be noticeable after six weeks. To increase performance, mix vinegar with apple juice from the onions. Mix equal parts of honey and yogurt, apply them on age spots, leave for twenty minutes, then rinse. Mild acid of citrus removes dead cells and activates the production of young, new tissue. Apply fresh lemon juice directly on the spots on the skin at least twice a day. Repeat the process until you get the desired results. It also contains substances that remove dead skin cells. Aloe will help the formation of new, healthy tissue. Regular use of these herbs will remove age spots and they will eventually disappear altogether. Read how to make recipes with aloe. This product has been proven effective in the treatment of age-spots. Rub castor oil on the spots, let sit for a minute or two. Treatment of age spots is carried out twice a day, and the effect is visible in about a month. If your skin is too dry, mix castor oil with coconut, almond or olive oil. Known for its exceptional anti-age properties, this oil is often used to relieve unsightly hyperpigmentation. A few drops of sandalwood mix with the same amount of rose water and lemon juice. Then add a little glycerin and whisk until you get smooth mixture. Apply a paste and leave for 20 minutes, then rinse with cold water. This oil is an ingredient of many natural remedies to remove hyperpigmentation. Here is how to make pasta from horseradish and rosemary. 4 drops of essential oil of rosemary. Mix the ingredients and apply twice a day on the stains. Age spots can be bleached with 5-percentage hydrogen peroxide. Once a day using a cotton swab, apply liquid directly to the area of ​​hyperpigmentation. Carry out this procedure for a couple of weeks, until the patches on the skin fade. Since hydrogen peroxide dries the skin after treatment, apply mandatory moisturizer. For age spots removal is feasible using the following mixture. Thoroughly mix all ingredients and apply twice a day on age spots and blemishes, hold for 15 minutes, and rinse.